Wrap your very own Little Prince up for a snuggle in this adorable baby blanket. 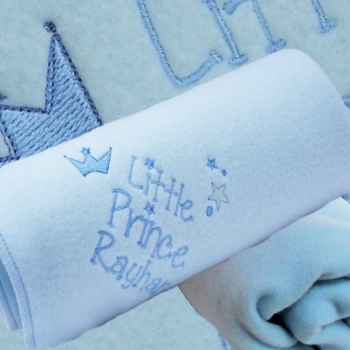 Wrap your very own Little Prince up for a snuggle in this adorable baby blanket. Blue fleece embroidered with a cute crown motif and the title Little Prince. 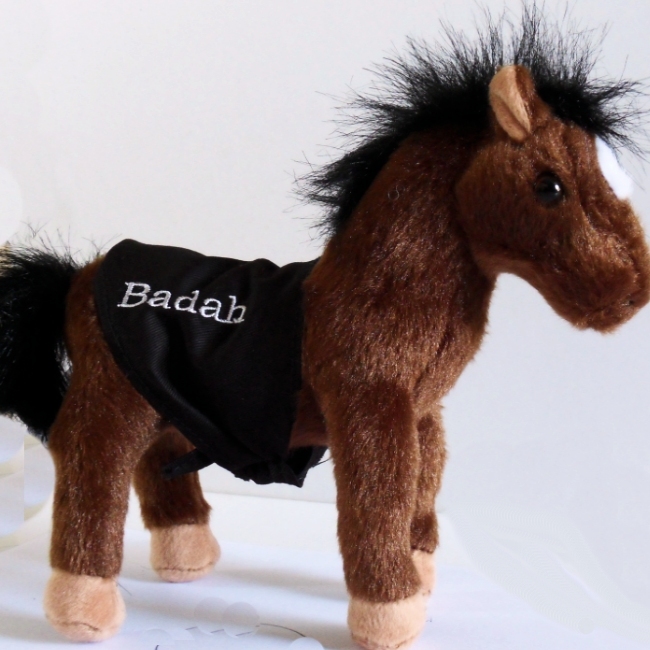 Personalised for free with a single name or initials. Wrap your very own Little Prince up for a snuggle in this adorable baby blanket. Blue fleece embroidered with a cute crown motif and the title Little Prince. Personalised for free with a single name or initials. You can choose from the options if you would like this service. This adorable baby blanket is especially made to order in Britain by Amys Gifts.